Microtransactions for cosmetics are coming to Tom Clancy’s The Division, starting with version 1.6 of its public test server (PTS). You’ll be able to use real money to purchase a new in-game currency called ‘Premium Credits’, with which you can buy a range of new cosmetic items and emotes. The decision arguably contradicts previous comments from developer Ubisoft about The Division’s monetisation model. If you like shooting people with friends, you’ll love some of the best co-op games on PC. Here’s the announcement on the Ubisoft forums. Some Premium Credits will be available for free at launch if you’re a member of the Ubisoft Club, but otherwise “Premium Credits cannot be acquired via in-game activities”, and you’ll need to spend real money to buy them. “Prices will be communicated at a later date,” say Ubisoft. Until now, The Division had been funded solely by purchases of the initial game and of DLC expansions, of which there have so far been two (Underground and Survival). The Division’s creative director Magnus Jansen said the game would not use microtransactions in an interview with Eurogamer a couple of months before The Division’s launch last year, but he left himself some wiggle room. The Division has often been compared with Destiny, another loot-driven social shooter which (for now, at least) is exclusive to consoles. In October 2015 that game introduced cosmetic microtransactions via a currency called Silver, to which Premium Credits seem functionally identical. This was almost a year after Destiny launched, and soon after the release of its third expansion. 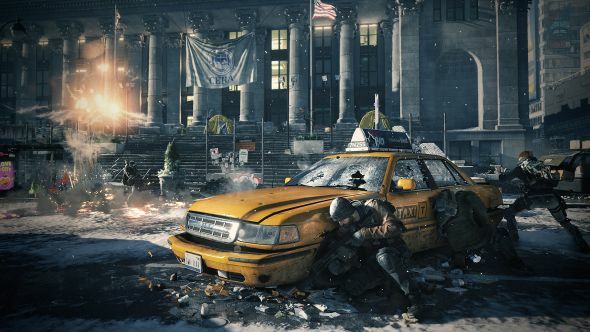 The Division is at a comparable point in its life-cycle, just over a month from its one-year anniversary and having just unveiledits third expansion. Given that The Division has an added audience of PC players, it’s interesting to see it so closely follow the monetisation decisions as its console rival.